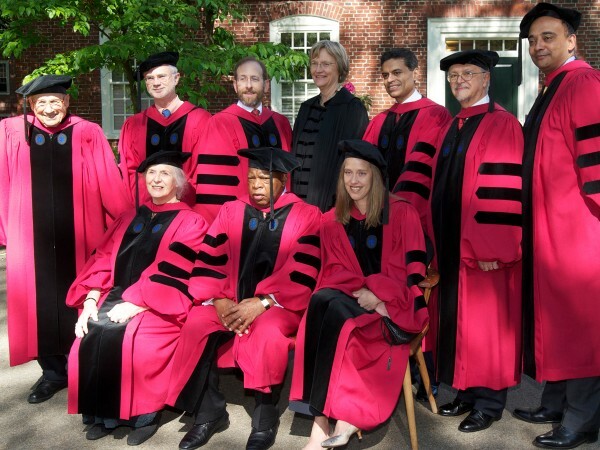 I had the great honor of being awarded an honorary Doctorate of Laws today at the Harvard Commencement, in (as you would expect!) very distinguished company. There were: the composer, John Adams; the great literary critic, Gillian Beer; the physicist (and Chemistry Nobel laureate), Walter Kohn; Wendy Kopp, who founded Teach for America; Mario Molina, the engineer (and Chemistry Nobel laureate, again); and John Lewis, one of my great heroes. Fareed Zakaria, journalist and public intellectual, not only got an honorary degree with us but was the Commencement speaker. Hearing John Lewis’s extraordinary life briefly sketched for us was a very moving moment. Chatting to him in the afternoon as we waited for the afternoon exercises was an enormous pleasure.